Shani is a primocane raspberry variety with a very early production. This variety is also an eyecatcher because it continues to produce flowers and raspberries even in low-light conditions. This makes the variety primarily suitable for winter growth in areas with a Mediterranean climate. Shani produces beautiful raspberries with a high yield. Shani plants remain relatively short in the Netherlands, branch quickly and also produce new ground shoots easily. Fruit on the primocane are soon followed by raspberries on the laterals. When planted early, harvesting fruit from the new ground shoots is still possible in the same year. Planting must be done late in areas with a Mediterranean climate. Shani then produces a beautiful, robust cane that continues flowering and producing raspberries in late autumn and winter. Shani also produces good results when grown on substrate. If the growth stagnates after planting, topping the plants is important. Even when grown in the ground, the plants must be topped to be vigorous. 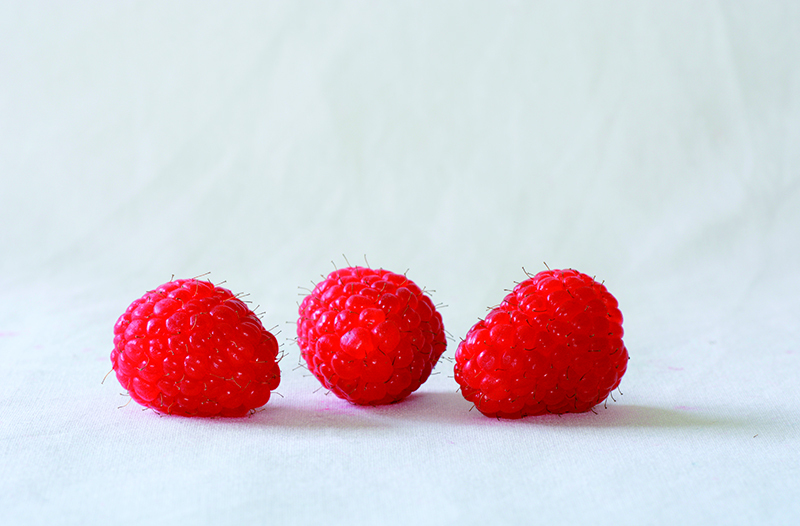 Shani raspberries are conical, robust and very easy to pick. They have a medium red colour, which can become slightly darker when the weather is hot. The fruit has a quite good shelf life.